Are you a resident of the capital city of Ontario and are looking for a writing class? 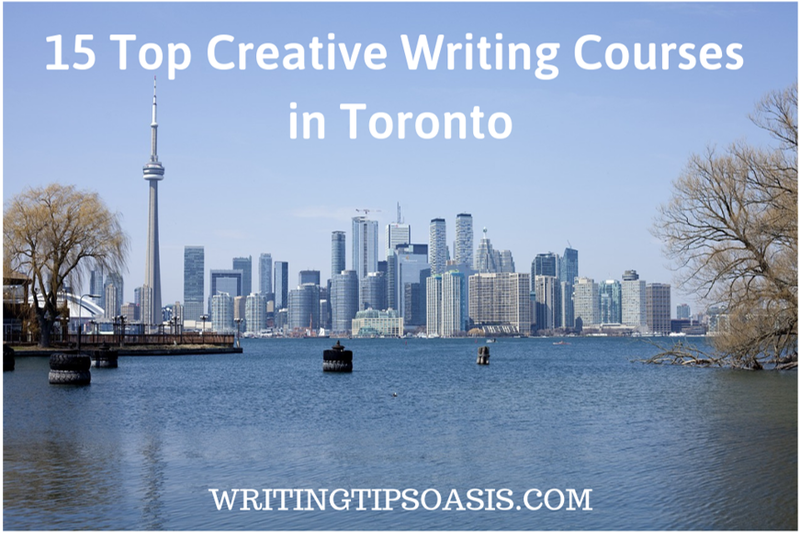 Below you’ll find 15 top creative writing courses in Toronto. With over 300 alumni who have gone on to become published writers, Humber College is the go-to destination for aspiring authors in Toronto. As a writer and author, there are different aspects one can need help or guidance with. Polishing your idea, finishing a manuscript, giving your characters the right voice and direction are some levels one can get stuck on. Getting practical, useful advice from experienced writers and professional authors can make a visible difference. If you have written a novel, fiction, non-fiction or poetry and need some encouragement, this course is perfect for you. 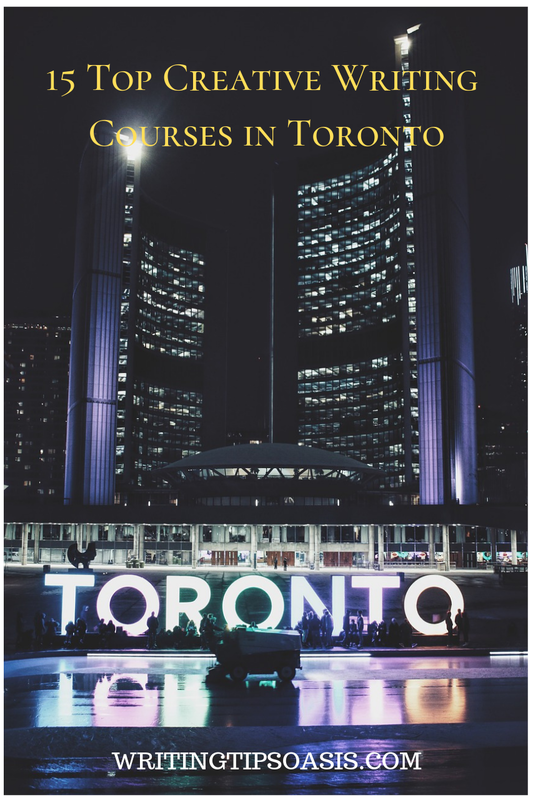 Published, successful authors such as Margaret Atwood, Martin Amis, Hari Kunzru, Alistair McLeod and Peter Carey have mentored students and graduates in this course. You can access their knowledge, experience and wisdom right from your home! The faculty also includes impressive names like Kim Fu, Dennis Bock, Don Gillmor, and Joseph Kertes. There are intakes in September 2019, January 2020, and May 2020. The course lasts for 2 semesters. The fees for 2018 were $3,363.20 for two semesters. You can use this link to apply for admission. It can be difficult to know which genre or style to pick once you start writing. You need to find your tone, voice, writing style, and depth. A short or quick course can give you instincts, ideas, and suggestions to improve or hone your writing. The University of Toronto School of Continuing Studies has one of the biggest Creative Writing programs and options available for students to choose from. There are almost 90 courses in Writing and Creative Writing! This course is a great starting point for amateurs or young writers trying to find their footing in the industry. While writing is a creative skill, practice and hard work can help improving it in a great way. The course has 32 sections to choose from and taught by different writers and teachers. You can select various sections or choose all the sections to get a comprehensive perspective. Kara Billey Thordarson, Ken Murray, Alexandra Leggat, and Michel Basilieres are some of the faculty members. The sections start from $599 and you can select the ones suitable for your career or goals. They are listed here along with the respective faculty members. It’s not enough to have a good idea to write a novel. You need to grasp narrative, writing structure, style, characters, and voices to make it worth reading. An introductory course to Creative Writing can boost your confidence and push you in the right direction. Selecting this course will also benefit you by understanding your target audience and ensuring your book is tailored for the market in a favorable manner. Every writer has a distinctive touch and style they should be known for. This intensive yet compact course can provide you with an insight into finding your voice. The course begins on 1st May 2019 and is on till 31st July 2019. It costs $343 and you can register using this link on their website. The Chang School of Continuing Education has an entire series of courses in Creative Writing for beginners, intermediate, and advanced writers. Students can choose up to 3 courses to receive a Professional Development Award. The Novel Writing Level I course is the ideal choice for authors to dip their toe into writing or beginning a novel. A lot of writers or students have no trouble beginning to write a novel. The trouble begins when they can’t carry the novel to the end or give it a reasonable middle. A supportive group of like minded students and sensible teacher is present here for you to receive feedback from. Understanding your weaknesses can make you a better writer and give you a new angle on the way you write. You can learn on how to make a novel outline, shape the story and pack a punch with your characters. The instructor is Sarah Sheard for the Spring 2019 term which begins on 29th April 2019. Find the enrolment dates and instructions available here. The course costs $500 and you can select it by visiting this link. An intensive 8-week writing workshop that can open your eyes and provide you to intense practice is a boon for writers. Writers of all levels and ages can consider joining this group of writers. A selective group of 10 writers take part in real time writing exercises. These exercises and tips will improve your writing skills, allow you to broaden your horizon and experiment with genres. Constructive and positive feedback is provided by fellow group members during these workshops. The goal of these workshops is to push you to write regularly and practice your craft. The workshops begin 16th April 2019 and cost $390. You can visit this page to register for the course. A degree program at an established university can do wonders for your professional career. Creative writing is not something that can be taught but it can be improved upon. Students will be encouraged and supported to build a portfolio of genres from short stories, novels, interactive media, plays, comic books to graphic novels and screenplays. Writing for a wide variety of genres will strengthen your writing and hone your imagination. You will have to choose 1 or 2 genres to specialize in. The 4 year course is available for undergraduate students and can be done full time or part time. Previous alumni and students have gone on to become successful writers and authors and recognized internationally for their work. Admissions are open for Fall 2019 intake. You can visit this link to learn about fees, admission requirements, and how to apply. A lot of writers and authors are their own fiercest critics. A supportive environment, like the one at Centennial can allow you to be kind and know your limits. It will also provide you with a real sense of where your writing stands currently. Positive reinforcement and ideas are provided to students so they can improve their craft and push themselves to be better. There are multiple options for interested writers to pick from. You can do a course in Script to Screen writing or Journalism should you prefer a particular genre or medium. The course is open to admissions for 2019. You can use this link to learn more about fees and admission requirements. Having a particular milestone and somebody to push you towards it makes a vast difference to a writer. An external motivator and guide can allow you to experiment and take risks without diluting your originality. The Creative Writing Certificate at University of Guelph is a brilliant way to learn from experienced writers and teachers. 6 classroom based courses, two required courses, and a final capstone project are included for you to gain experience. Activities and writing exercises are offered for students to polish their writing and improve their skills. The course is open to writers of 18 years or older and having completed high school. You can use their Student Portal to register for information and learn about fees. Being part of an exclusive class of writers gives you a platform to shine and receive complete attention. The 3 month Creative Writing course at Seneca College is meant for writers to read, review and critique works of their fellow students. Works by previously published authors and compelling novels are read and evaluated to gain insights from. The faculty members push you to take on genres or styles that you shy away from. Moving out of your comfort zone makes you a better writer and artist. It also strengthens your belief in your capacity and tells you what you can achieve. This class is held at the Newnham campus and costs $313.20. You can add this course to cart and it will guide you to the registration page. Writing is a solitary job. It can get exhausting trying to research ideas, write, edit, and then critique on your own. That’s why joining a close knit group of writers or attending workshops can be so beneficial. Toronto Public Library holds regular seminars and workshops for writers of all ages. From trying to help you find inspiration to holding open mics, they manage it all. The Toronto Writers’ Co-operative is held weekly where members can read their works, receive feedback and interact with published authors. The atmosphere and nature of these workshops are informal compared to traditional courses. This can make writers feel comfortable and let them approach authors with ease instead of relying on the teacher-student dynamic. There is no formal structure or approach but a pure focus on the craft and art of writing. You can also join this group if you have writer’s block and need some inspiration or material. The dates are available here and you don’t need to register. One of the only degree programs in Canada to blend writing and publishing, this course is a must for writers and authors. It makes complete sense that any writer should have awareness and knowledge of the publishing world. This degree will teach you practical and real life things that can be applicable in your professional life. In today’s age, writers have to market and sell their books and ideas. Through this course you will learn how to project your book and idea in the right way to your audience. Literary workshops, events, and meetings are held for budding authors to network and create a supportive community. Students are asked to edit, write, review, and publish work so they can experience what goes in publishing and printing a novel. The faculty includes published authors, writers who have won awards for writing, editing, and playwriting. The course lasts for 8 semesters and will include electives. The approximate fees for 2 semesters for international students are $16,587 (Canadian dollars). International students can use this link to apply for admission while Canadian students can check this page. Brian Henry is an accomplished editor, blogger, and teacher. He has been in the publishing industry for almost 25 years. A Creative Writing teacher at Ryerson University, he also runs the popular literary blog Quick Brown Fox. Through his blog, he provides resources, ideas, and tips for writers all over the world. Brian has started an intensive 9 week course to give beginners a glimpse in creative writing. You can be an absolute amateur or somebody struggling with the basics or just wanting to review your skills, this workshop and course will refresh your mind. You can expect to write engaging dialogue, change your tone, and improve your skill. Students offer positive and encouraging feedback to each other and boost their confidence. At $199, the course is worth every penny. Batches begin April 18th and April 26th. You can email Brian to reserve a spot and learn more details. An instructor and writer, Roxanne Snider started her Creative Writing workshops in 2004. Since then they have become a respite for writer and authors in need of inspiration or reassurance. Writing is a very personal and subjective craft. One can never really learn or teach it from courses and textbooks. That’s why this workshop is so essentially because it is tailored for every person. They take the pressure away from the writer and instead ask them to commit to writing. Exercises, prompts, tips, and suggestions are offered for the students and they are expected to engage in discussion and activities. The best writers are often great readers and Roxanne will introduce you to stunning literary talent that you may not have been aware of. The admissions for Spring 2019 are open and the workshop begins on April 11th. It costs $400. You can email Roxanne for further details and information. A lot of creative writing courses and workshops are heavily skewed towards print and publishing. If you are interested in writing scripts for film or television, you should consider Toronto Film School. The country’s premier media school, it has a course for writers interested in working on scripts and screenplays. Writing for Film & TV will enable you to experience the world behind the screen, the technical knowhow and the difference between print and media. Film and TV writers will attend events and mentor you during the course. Students can be expected to create their shows, films, edit, write, and produce it for projects and credits. Pitches, drafts, screenplays, scripts, and outlines are some of the formats you can hope to learn here. The faculty includes prominent names in the industry such as Adam Till, Ken Chubb, Fern Levitt, and Jonas Chernick. The program fees for each term are $5,745. You can visit their application page to apply for admission for 2019. The combination of English, writing, and communication will completely prepare you for a career as a writer, editor, novelist, and film-maker. You can analyze, edit, review, and critique content while creating it. The course will immerse you in all aspects of creating, writing, and communicating. This allows you to select the profile or role you prefer or are skilled at. You can visit their application page to learn about dates, fees, and requirements. Are there any other creative writing courses in Toronto you know of? Please tell us about them in the comments box below!